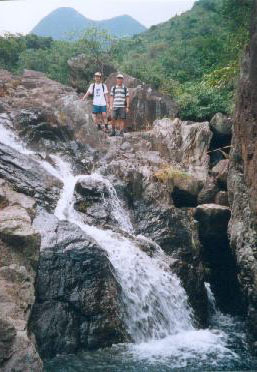 It is a very enjoyable stream locates on the northern part of Lantau Island. 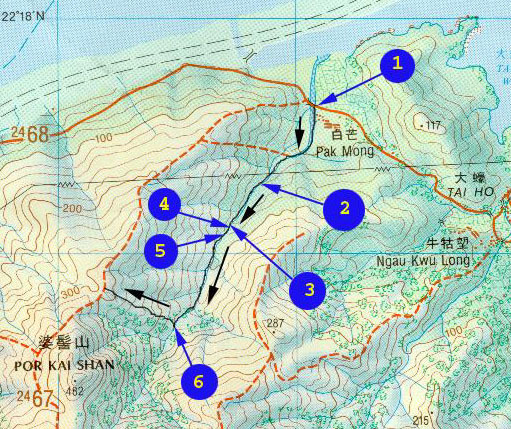 It is easy to locate, easy to navigate with clear water pools and nice waterfalls. It is a stream that worth visiting again and again. 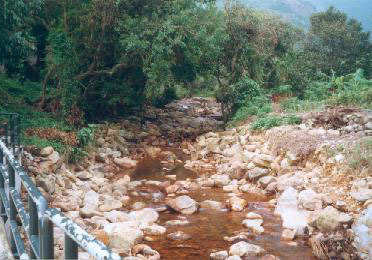 This is the entrance of the Pak Mong River, right next to Pak Mong Village. At noon of a summer day, Lawman(Leo) and Eugene cannot wait jumping into the pool. 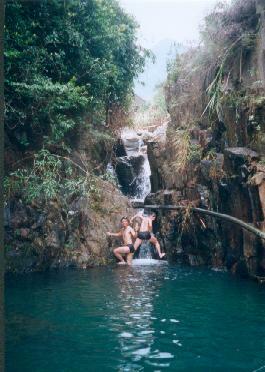 This pool is one of the cleanest natural pool in HK. Eugene saw a fish-like creature swimming at the bottom of the pool. What was it ?!? It would be easier to climb up this waterfall in winter when the water flow is minimal. 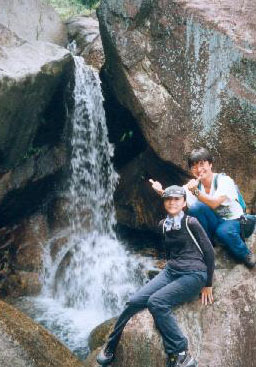 Please see the next picture to learn how to reach the top of this waterfall. You have to climb up on the left of the water fall. 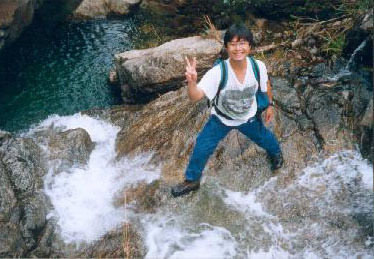 When you're half way up, you have to walk ***ACROSS*** this waterfall like what Eugene was doing in this picture. Great caution should be taken when you imitate Eugene, it is very slippery. When you see this waterfall, you may get struck. 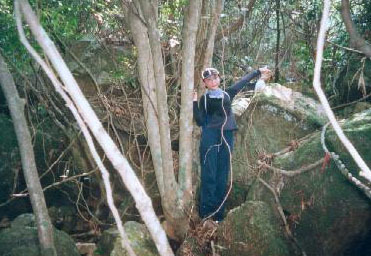 To proceed, you should walk back a bit and climb over the big rock on your right. Beatrice is pointing to the direction of exit. You can probably notice a lot of red ribbons at this location.